As Labour delegates prepare for their annual conference in Brighton the party has been hit by torrid headlines. Gordon Brown's former spin doctor, Damian McBride, has chosen this week to serialise his memoirs in a book called Power Trip, which recounts infighting and media manipulation within the Labour Party in the run-up to former Prime Minister Tony Blair stepping down in 2007. 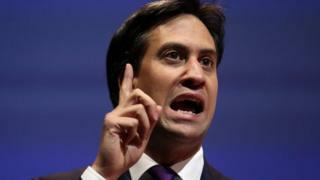 The party's current leader, Ed Miliband, doesn't escape unscathed and the timing could hardly be worse for him. Mr Miliband wants to show - after criticism that Labour has had a bad summer - that he is on form and ready to put some flesh on the bones of Labour policies. Instead, Labour infighting has become the focus. The Deputy Prime Minister Nick Clegg said it "showed how riven Labour was by personality, politics and factionalism" and suggested Ed Miliband had "not really addressed" the issue. Mr Miliband will need to show that he has a grip of his party and that he is taking the fight to the coalition. His first big announcement - on the eve of conference - will be a pledge that if Labour wins the next general election the party will scrap the spare room subsidy - which it has dubbed "the bedroom tax". Mr Miliband said it was a crucial issue which affected 40,000 claimants across the South East, 25,200 of which have a disability. Labour estimates the changes will leave those claimants £780 worse off a year. He said the policy, which means those living in social housing who have a spare room face having their benefits cut, is unfair, forces families into rent arrears and is promising to end it. Some critics will accuse him of making spending commitments with money they don't have and being "same old Labour" but Mr Miliband rejects that. "It's an absolutely costed commitment paid for by closing three particular tax loopholes - a hedge fund tax cut, tax relief for certain share transactions and issues in the construction industry around tax loopholes," he said. Compared to some other regions - such as the North West - the South East has a relatively low number of people affected by the spare room subsidy. I put it to him that people in work who struggle to pay for their own home would be reluctant to pay more towards benefits to help those in social housing pay for a spare room. He rejected that and said it unfairly penalised people predominately with disabilities. Mr Miliband did acknowledge that one of the big issues affecting residents in the South East was the cost of housing and said Labour would build more homes which was essential to help tackle the rising cost of living. He also can't escape the fact that Labour doesn't have a single MP in Kent or Sussex and knows he has an uphill battle to win back support in the South East. His message is that he does understand the issues concerning residents in this region - the cost of living, immigration and above-inflation rail fare increase. Mr Miliband also insists that Labour has learnt lessons from its time in office and won't make uncosted spending commitments. He now has to prove to voters that his party can be trusted with the economy again. UKIP gathered in Westminster on Friday. The Liberal Democrats held theirs in Glasgow, while the Green Party went to Brighton. The Conservatives will hold their conference in Manchester, and Brighton will host the Labour Party conference.